Little did I know, Seaside and Watercolor are exactly what he had in mind, only for North Texas. Seaside and WaterColor are two coveted vacation home communities on Florida’s Gulf Coast that are hugely popular with Texans. Seaside, the original, is a poster child, master-planned community along Highway 30-A in the Florida panhandle, a 28.5 mile corridor that hugs the Gulf of Mexico coastline in Northwest Florida’s Walton County. The area takes you back in time to the days when Florida was just a sleepy sand and water state. Here is where the cottages of Seaside were born, planting a standard-setting imprint upon New Urbanism. Consumers snatched up beachy homes and white picket fences, but also completely walkable communities where cars were parked, locked (didn’t have to be) and families could walk to everything. Beach towns were the first inspiration for strolling urbanism, because what do you do most at the beach? Walk! 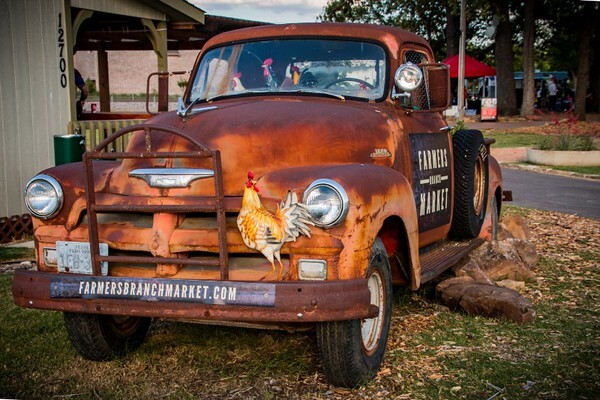 We recently wrote about how one Dallas inner-ring suburb is seeing big changes, Farmers Branch Renaissance Turning Once Sleepy Suburb Into Vibrant City. 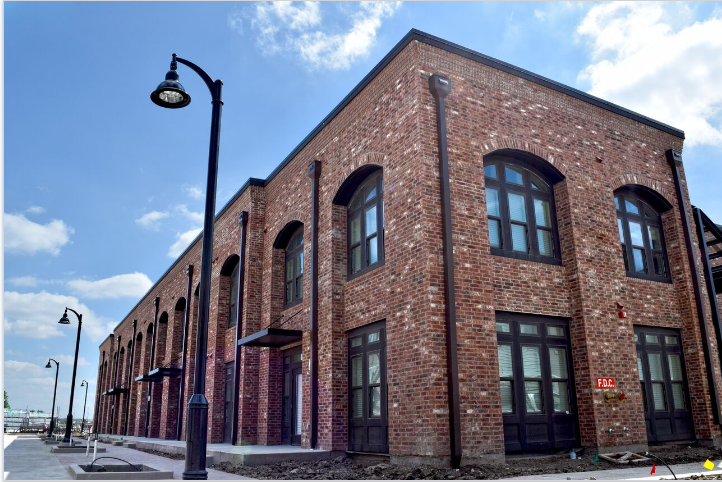 The city has another reason to celebrate: Billingsley Company is bringing New York City architectural charm to to Farmer’s Branch, with The Brickyard. 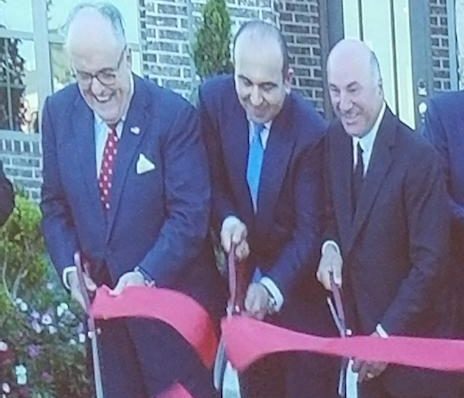 This is their new apartment community in Mercer Crossing, at the crossroads of Interstate 35E, Interstate 635, and President George Bush Turnpike. They have everything you think of when you imagine NYC: romantic industrial architecture, brick detail, metal-framed windows, metal awnings, large arched windows, and walk-up style housing. Everything, that is, except the price. In Manhattan, the cost of living is more than double the national average: The average rent for a two-bedroom apartment in the Lower East Side is $3,558, according to the First Quarter 2016 Citi Habitats market report. This is roughly equal to the entire monthly income of the typical U.S. worker. Current pricing for The Brickyard ranges from $995 to $1910 per month. Sumner Billingsley, a managing partner on The Brickyard project, took her experience living in the West Village in New York and translated this project. Once upon a time, a decade or two ago, Farmers Branch was a sleepy suburb with older homes, older shopping centers, and older infrastructure. It wasn’t a bad place to live, but it wasn’t exactly topping the charts of vibrant cities in DFW. The housing stock, in particular, was fraying around the edges and many aging residences needed a total overhaul. 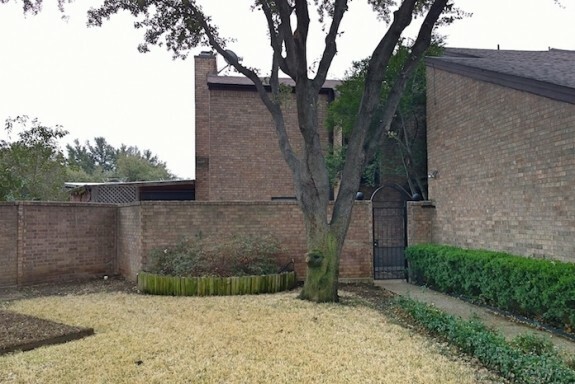 But Farmers Branch reached buildout in the 1970s, so if something new was to go in, something old needed to leave. But then the city woke up. They adopted a forward-thinking, progressive approach, and builders and developers took notice. 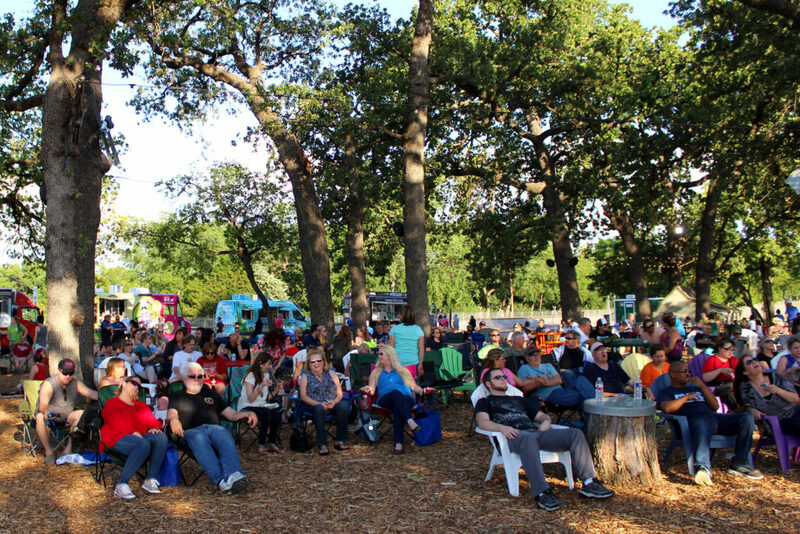 The city, which already had parks and green space, has started better utilizing those areas for residents and visitors. Shopping centers and other commercial buildings are getting facelifts, partially funded by the city. Dilapidated houses are being torn down on the city’s dime and the empty land sold to encourage better homes with a higher tax base. Multi-family developments are in phased developments to create a work-play-live, walkable atmosphere. The result? 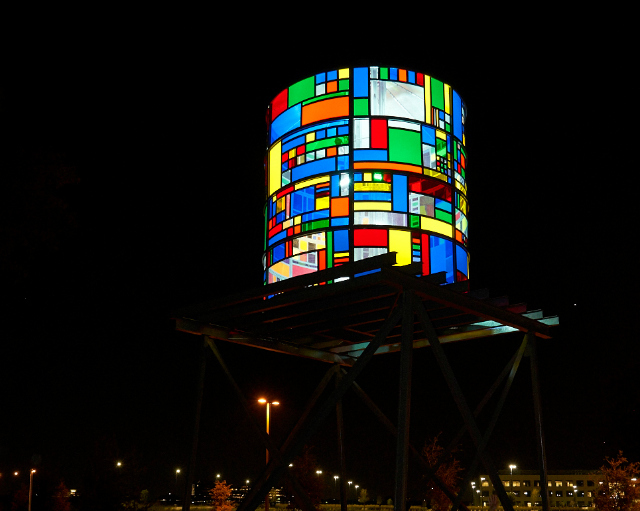 A Renaissance, of sorts, showing up across all sectors of the Farmers Branch community. This suburb is sleepy no more. You may have heard of this one today: a woman in Farmers Branch, Lisa Price, put this sign in her front yard at 3312 Pebble Beach Drive, to get even with her neighbor, who she says is not being a good neighbor. She told CBS-11 that he complains to the city about her 4 dogs barking and has a security camera aimed at her house. “He knew we had dogs when he moved in,” she said. Price said she doesn’t really intend to sell her home, but was driving home a point. “We thought maybe that would help him to back off,” she said. CBS11 tried to reach the neighbor referenced in the sign, but could not find them at home. CBS-11 found out that as long as the sign is a real estate sign, she can leave it up. Beyond the gated entry that gives way to the front courtyard, you’ll find a front door that opens to the remodeled kitchen. 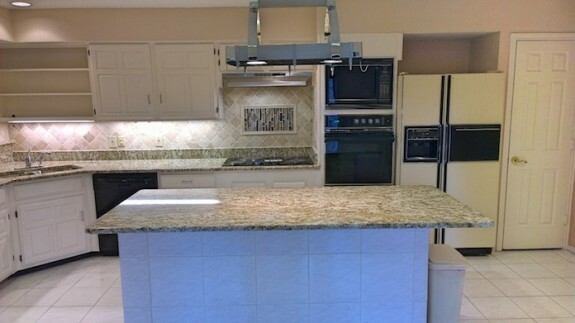 With an island, granite counters, stone backsplash, pot rack and built-in appliances, you’ll enjoy the level of luxury this rental offers in the heart of the home. 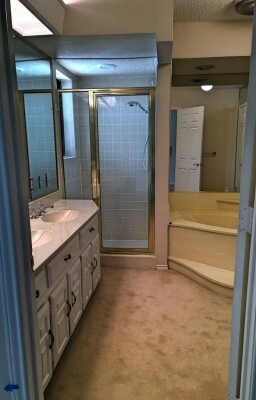 There’s also a sizable pantry and fresh paint, but you might be a little disappointed by the dated appliances. There is tons of living space in this home, including both a sunroom and a solarium. 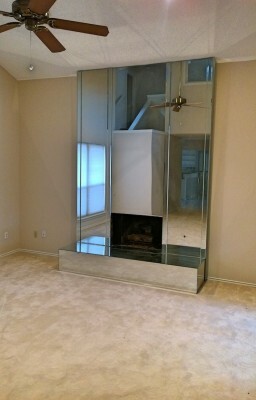 The formal living room has an interesting fireplace surrounded by mirrors. Definitely reminiscent of “American Hustle,” but kind of fun, too. With almost 2,350 square feet, there’s plenty of room to move around, so if you’ve got pets (which are OK, by the way), you’ll all be able to find a sunny spot. But what you really came for is the indoor/outdoor pool. How neat is that? So when it gets ridiculously hot and bright this summer, you can just hang out in the shaded area of the pool with your frosty margarita and your closest pals, still getting your soak on without being singed by our unfathomable UV rays. 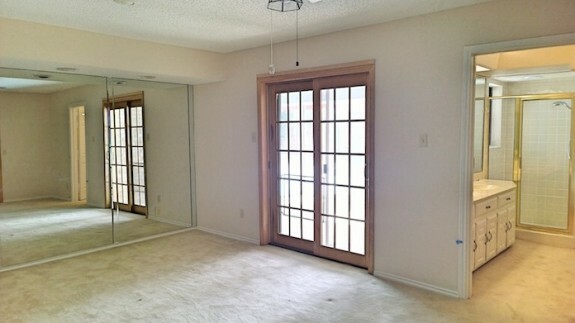 Truly, this townhome is epic fun for the next occupant. 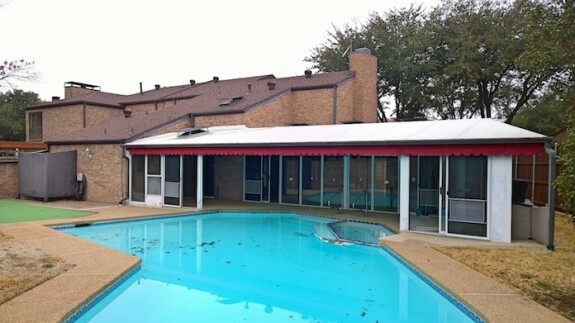 You can lease it today for $2,400 a month, which, considering this unit’s proximity to Brookhaven Country Club, is a price well worth the personality. 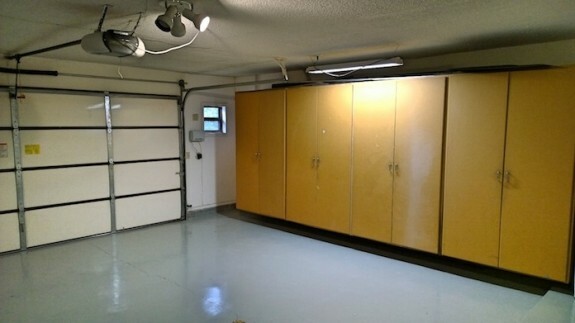 And considering the huge storage cabinets in the garage, you’ll have plenty of places to store all your golf clubs and gear as you work on your game. Fore!